While Austin Forkner was an accomplished amateur and has come into every season since turning pro with lofty expectations, I think 2019 is the first year the Monster Energy / Pro Circuit / Kawasaki rider has that win championships or the season was a failure mentality. In 2018 Austin won in Tampa and Atlanta (his first two career SX wins) and he even had a piece of the red plate after Daytona, but it still always felt like the 250SX East Championship favorite was the reigning champ, Zach Osborne. In the end, Austin got injured late in the season and missed the final two rounds—surrendering the fight and the title to Osborne. 2018 was a good learning season for Austin but just winning a couple races will not be enough for the third year pro this time around. He wants and needs that title. 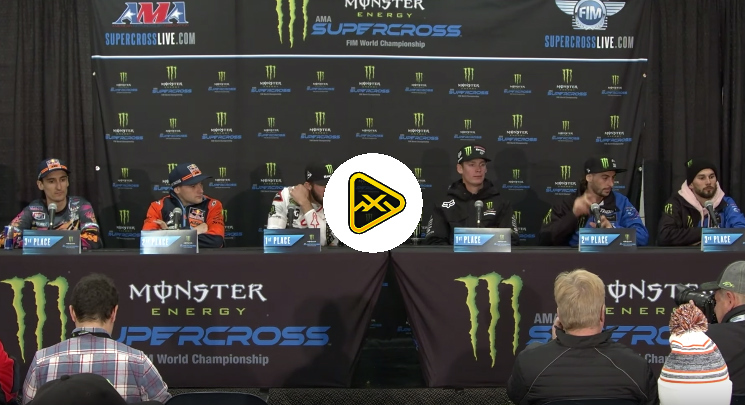 In the video below we hear from Austin, his mechanic, Olly Stone, and his team manager, Mitch Payton, talking about what the #24 has done different this offseason in preparation for his title run that will begin this weekend in Minneapolis.